The members of the 2014 Financial Analyst Program were selected from hundreds of applicants - to now learn the finer details of being a Financial Analyst. 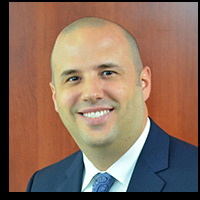 Eddie Alter received his undergraduate degree from the University of Central Florida with a Bachelors of Science in finance and a minor in real estate. As an undergraduate, Eddie was an intern at Estate and Business Planning Group, a high net wealth portfolio management company in central Florida. There, he assisted in daily operations and helped develop the client CRM categorization system the company uses for tracking client activity and report generation. 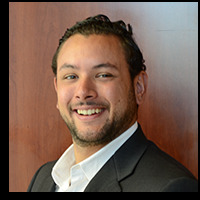 Eddie is currently a student in the MBA program at Florida Atlantic University and is enrolled in the Financial Analyst Program as part of his studies. 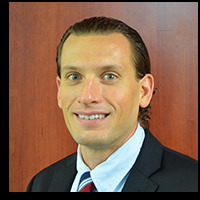 He is a Graduate Student Assistant for finance for the Executive MBA program at FAU. He instructs weekly sessions designed to aid graduate level students in their coursework, as well as reinforce finance concepts learned during class periods. Upon graduation Eddie intends to gain employment as a financial analyst and achieve a CFA designation. 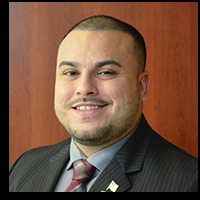 Leonardo A. Bejarano is a native Floridian and received his undergraduate degree in Finance at the University of Central Florida in the fall of 2009. After getting his bachelor’s degree, Leonardo moved back to his hometown of West Palm Beach to work at Wells Fargo. When advancement opportunities dwindled, Leonardo decided to enroll in the MBA program at FAU. 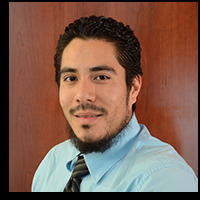 Along with going to school, Leonardo is currently working at Jupiter Medical Center as a program educator for electronic medical records. In addition to school and work, Leonardo enjoys helping out the community and participating in sports. Leonardo is the treasurer for Unity for Kids, a school for children with special needs. Leonardo is a on the board of trustees at Girls Make Beats, a non-profit organization focused on empowering girls in the music industry. After completing the Financial Analyst program and his MBA in May 2015, Leonardo looks forward to working in the financial industry. After having served honorably for six years in the US Army as a combat engineer, Richard completed his undergraduate degree at Florida Atlantic University in 2013 with Bachelors in Political Science and minors in French and Italian. He continued on with his studies in 2013 at Florida Atlantic University as he is a current graduate student in the Master of Business Administration program, specializing in finance. He joined the financial analyst program in order to increase his skills and knowledge of the finance world. As a firm believer that business and political understanding go hand and hand, he plans to go to law school after graduation to study corporate and international law. A South Florida native, Justin graduated from FAU in 2011 with majors in Business Administration and Marketing. Having an interest in the stock market led him to pursue a career in finance. He shortly thereafter started working as an assistant at a full service broker-dealer. Justin learned about the markets, small-cap equities, and short-term trading while assisting and self-trading. He also obtained both his series 7 and series 63 licenses during his time there. More recently, Justin was involved in a startup company focused on organic farming. Through the FAP, Justin seeks to expand on his analytical skills in financial markets for institutional application. He also hopes to pursue a CFA designation as well as an MBA. Stephanie Grant received a Bachelor of Science in Biochemistry from Florida Atlantic University. She has worked in the pharmaceutical manufacturing industry carrying out R&D and chemical analysis for high purity consumables, performed genetics research for the USDA, and worked with pathological tissues in a clinical pathology lab. 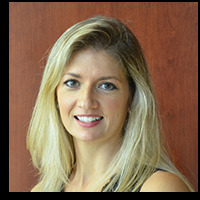 Stephanie is also enrolled in FAU’s MBA program and is currently teaching science. Graduating with Honors from the University of Central Florida, Mr. Nicholas A. Kahn came of school knowing he wanted a career in the Finance industry. 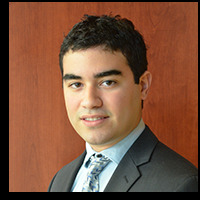 Beginning with AXA Advisors, Nicholas Obtained his Series 7 license and began working directly with private client advisory work. With a stronger passion for analysis, he landed a job with a prominent boutique Investment Banking and Hedge Fund based out of Orlando, working for Mr. Ben Stoller. With an extensive passion, drive and determination to be a better analyst, I have joined the FAP Program with hopes of one day running my own fund or becoming the managing director of an investment institution. Yuriy Kolin was born in Sevastopol, Russia. About 10 years ago he moved to Florida, where his home base resides now. This move marked many changes in his life. During these years, he learned how his life can be different from the life he led in Sevastopol. By overcoming new challenges of new life, he fell in love with experiencing other cultures. He attended the Florida Atlantic University, at first, unwillingly. Later on, he appreciated the value of education and the knowledge he got within his program. Even before his graduation in 2010, Yuriy Kolin has entered the real professional world of Fort Lauderdale. He started working at BCT, a wholesale printing company, headquartered in Fort Lauderdale, FL. He started to work there as a Marketing Research Analyst. Later, he accepted position of Database Analyst at IT Department. Short after he was promoted to Management Analyst position. 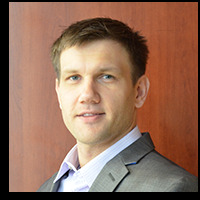 After graduation with a BA in Accounting from Florida Atlantic University in 2010, Yuriy Kolin accepted Staff Accountant position at the CPA firm. He is currently pursuing his BA in Management Information Systems with Business Analytics concentration and Financial Analyst program. 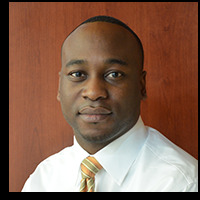 He currently works as a Senior Accountant at Universal Insurance Services, headquartered in Deerfield Beach, FL. The company provides a variety of services including advanced planning techniques, underwriting prowess, extensive carrier & objective product support, case design, true marketing and sales consultation. Yuriy Kolin, as a Senior Accountant, performs a wide range of responsibilities including, but not limited to preparation and analyses of all monthly, quarterly, and annual financial reports; facilitation and completion of monthly close procedures, preparation of monthly reconciliations, assistance with financial and tax audits, and monitoring of internal controls. 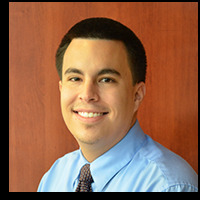 Daniel Martinez is a dual accounting and finance student at Florida Atlantic University. Currently, he is participating in the Financial Analyst Program in addition to completing the last two semesters of the accounting and finance degrees. He plans on sitting for the Chartered Financial Analyst designation as soon as he is capable of sitting for them and plans on working in the financial services industry as an analyst upon graduation. Mr. Maxime received an undergraduate degree from Jacksonville University (2008). While attending JU, Maxime excelled academically by double majoring in Finance and Accounting and athletically as a defensive back on the football team. After graduating, Maxime pursued a career in accounting while sharpening his skills to ultimately enter the finance industry. 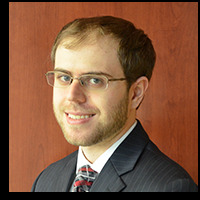 Maxime gained five years’ experience in accounting, audit, and tax as an Internal Revenue Agent where he evaluated businesses in various industries. During this time, Maxime obtained a Masters in Taxation from Florida Atlantic University (2011). Studying the career paths and technical traits of legendary investors such as Warren Buffett and Carl Icahn, lead Maxime to believe good fundamental equity analysis skills were essential to their success. Maxime’s determination to hone his equity analysis skills, passion for the financial markets, and satisfaction derived from investing invigorated him to enroll in the Financial Analyst Program at FAU. Maxime has the ambition of obtaining duel CPA and CFA designations. After completing the Financial Analyst Program, Maxime aspires to work as a buy-side analyst. 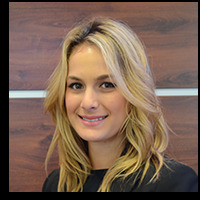 Monica Meyer is a graduate from the University of Miami with a Bachelor’s of Science in Finance and Economics. She is currently pursuing an MBA at Florida Atlantic University. Monica worked in Asset Management at JP Morgan Chase, where she cultivated a strong enthusiasm for and understanding of the capital markets. She joined the Financial Analyst Program to increase her knowledge of finance and to hone the repertoire of skills necessary to succeed in her career. Robert Mullin is currently an undergraduate student at Florida Atlantic University on track to completing a Bachelor of Business Administration with a major in Accounting. He is expected to graduate with honors in May, 2015 and plans on completing a Master of Tax degree afterwards. While pursuing these goals and participating in the Financial Analyst Program, Robert is preparing to successfully finish all four sections of the CPA exam and will eventually also pursue CFA designation. Upon graduation he looks forward to a future career in the finance and accounting fields. Jevin Nightingale graduated in 2001 from the University of Florida Warrington College of Business with a Bachelor’s (with honors) and Master’s of Science degree in Decision and Informational Sciences. Upon graduation, Jevin joined the sales team of a small software startup in Boca Raton that was eventually acquired by the Healthcare division of Koninklijke Philips N.V., a Dutch diversified technology company headquartered in Amsterdam. health networks to identify business process reengineering initiatives and create workflow efficiencies through process analysis within acute-care hospitals. Jevin led negotiations of multi-million dollar contracts with health systems to implement Philips’ software solutions. After 10 years with Philips, Jevin was recruited to a new software startup, Extension Healthcare. 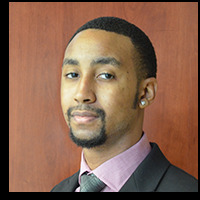 Looking for a new challenge to leverage his analytical and interpersonal skills gained during his professional and academic experience, Jevin entered the Financial Analyst Program to pursue his passion in capital markets. John Odell received his B.S.B.A., specializing in Marketing, from the University of Florida. John has over 15 years of experience in the Medical Industry. During this time he has held various titles from Medical Device manufactures, Pharmaceutical firms, and Healthcare systems. John is currently employed by Healogics, Inc. as a healthcare consultant and also by Memorial Hospital Pembroke as a Director. Delta Epsilon Iota Academic Honor Society and a FAU Ambassador. He is also currently participating in the Financial Analyst Program at FAU. Upon completion of the chartered Financial Analyst program (CFA), John intends to utilize his cumulative knowledge of the Medical Industry and Finance to create a Global impact in Mergers and Acquisitions as well as distressed Medical/business operations. 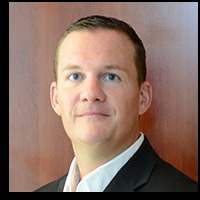 Matt Pawlowski is the Senior Manager of Transmission Services with Florida Power and Light Company (FPL), a NextEra Energy company. He and his team are responsible for administration of FPL's Open Access Transmission Tariff, management of transmission service and interconnection requests, wholesale customer interaction, interchange scheduling and accounting, monthly billing of transmission services and various internal and external reporting. for daily interactions with FPL’s wholesale customers and rate case strategy at the Federal Energy Regulatory Commission (FERC). Matt leads settlement of disputes at FERC as well as implementation and interpretation of existing and new FERC Orders and other regulatory filings. Matt has been selected to manage several special projects at FPL such as a recent transmission line acquisition with a Florida cooperative and a review of rates and regulations related to Distributed Generation. Finally, Matt maintains the relationship between FPL and the North American Transmission Forum. 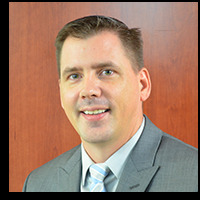 In previous roles at NextEra Energy, Matt was responsible for various business management, compliance and regulatory affairs initiatives. 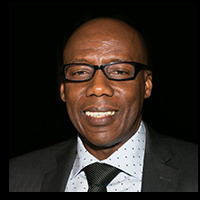 He led regulatory audits in several North American Electric Reliability Corporation (NERC) regions and was responsible for interpretation and implementation of NERC Reliability Standards within the organization. As part of his compliance responsibilities, Matt served on the NERC Integration of Variable Generation Task Force, as Chairman of the Load Serving Entity Drafting Team in Electric Reliability Council of Texas (ERCOT) and as NextEra Energy’s representative on the Western Electricity Coordinating Council (WECC) Operating Committee. Matt also led Quality/Six Sigma initiatives within the FPL Transmission and Substation area and developed government and regulatory policy which aligned with NextEra's clean energy portfolio. 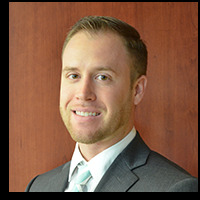 Prior to joining Florida Power and Light Company, Matt worked in various finance and enterprise risk management roles at Motorola, Lennar and AOL Time Warner. Matt holds a B.S. degree in public accounting, minor in legal and ethical studies and an interdisciplinary specialization in international business from Fordham University in Bronx, NY. Matt is also a certified Six Sigma Black Belt. Born in Russia, Ekaterina has a diverse academic and occupational background. In Russia she studied innovation technology, a new major designed to combine engineering and business education, enabling students to bring their innovations to the market. Her work experience in the U.S. helped her build inside knowledge of different industries, develop entrepreneurial skills, and learn valuable business tools that laid the foundation for her current field of study. 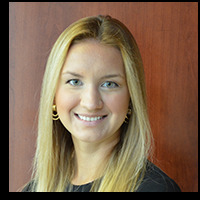 Presently, Ekaterina is a senior at Florida Atlantic University, majoring in Finance and completing a Risk Management and Insurance program. Born in Sao Paulo, Brazil, Guilherme came to United States at age 18 with a scholarship to play Tennis for Troy University where he completed his undergraduate degree in International Politics. After concluding his bachelors, Guilherme received a scholarship to remain as part of the Tennis Team as an Assistant Coach and complete an MBA with focus in Finance. Guilherme also studied Finance abroad at ESCP Europe Business School in England. 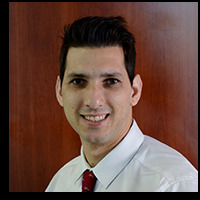 After completing his Masters Degree, Guilherme held a Corporate Trade Finance Analyst Position at Banco do Brasil in Miami, where he analyzes the financial health of over 100 South American Corporations. While studying for the Financial Analyst Program, Guilherme intends to conclude the first portion of the Chartered Financial Analyst Exam. Jimmy graduated from Florida Atlantic University with a B.S. in Finance in 2012. He is currently enrolled in the MBA program in conjunction with the Financial Analyst Program. Jimmy plans to begin testing for the Chartered Financial Analyst designation in 2015. With his financial skill sets heightened, he intends on beginning an illustrious career as a Financial Analyst. Born and raised in Miami Florida, Allen-Michael Screen graduated from Florida Atlantic University (FAU) with a Bachelors of Business Administration (B.B.A) in 2011. After college, he ran a small internet company for about two years that integrated his love for sports, marketing, business, and writing. After dissolving the company in 2014, he decided to pursue a career in finance and fulfill his long-term goal of working within the investment world as an analyst. He also runs a blog that provides young entrepreneurs with helpful tips on starting and running a business.